Affiliates are our partners and we want them to make money too! That is why we offer the highest marketplace commission percentage. 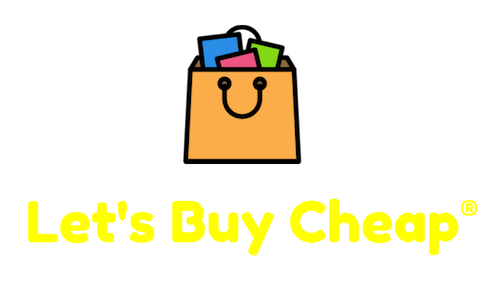 All affiliates will receive 10% net commission for every generated sale on Let's Buy Cheap marketplace. Limited time we also pay you for every unique click you send our way, the unique click should come from reference page only, it will not be counted if it is done by a robot. The visitor browses Letsbuycheap.com and may decide to order. If the visitor orders (the order doesn't need to be placed during the same browser session - cookies are stored for Twelve months), the order will be registered as a sale for you. You will receive commission payouts via PayPal on the last day of every month. if your balance is at least $100. We are looking for highly motivated Online Marketers, Bloggers, Influencers and any website owners who want to sell our items, products, through their own websites. Our system will show you your total earnings and how many referrals do you have. Also, our system will notify you when a sale is made. Referrals are paid via Paypal, Vemmo, every 2 Weeks, if your balance is at least $100. Promoting our highest priced items. The results will not be long in coming after you start generating good daily traffic to Letsbuycheap.com. 24/7 Assistance! Contact us for any inquiry or assistance that we shall gladly provide! The affiliate will earn 10% of commission from selling products From Letsbuycheap.com.